On Saturday, July 26th all the action takes place at a string of wineries on the Leelanau & Old Mission Peninsulas, that is the places where I researched the Michigan section of my book BEST WHITE WINE ON EARTH – The Riesling Story. Then you can taste for yourself why I devoted pages 53 – 60 to the Rieslings of this beautiful region which many Americans are not even aware produces wine at all! On the afternoon of Sunday, July 27th Chef Michael Peterson of Siren Hall represents the Riesling Oyster Riot at Traverse City’s popular food truck mecca, The Little Fleet. As many of you already know dry Riesling loves Oysters and this promises to be simply delicious! For those of you who never tried this combination it will be like taking your first steps on another planet of taste. Sunday evening features the “world premiere” screening of my Gonzo B movie WATCH YOUR BACK – The Riesling Movie (Part 1) at Michael Moore’s Bijou By the Bay followed by the Night of 100 Rieslings (with wines from all over Planet Riesling) served at a pop-up bar staffed by winemakers and somms plus live music and a farm to table dinner. Please note that I come in peace for all mankind and my movie is a non-profitmaking venture, which means I am not receiving any payment for this or subsequent screenings. And no, I won’t be wearing that red coat pictured above (thanks to Neodandi in Seattle for creating it for me), because it is far too warm for the warm summer weather in Traverse City. You should be able to spot me easily enough though. On Monday, July 28th the action will move to The Franklin in Downtown Traverse City for ‘Salon Riesling’ a series of four seminar tastings. They begin at 11am and continue to around 5pm, the subjects being (in running order), ‘US of Riesling’, ‘The Eagle has Landed’ with wines from my cellar in Berlin (from Hungary, Italy, the Mosel and Nahe, vintages range from 2009 to 1990), ‘Almost Famous’ featuring the Rieslings of Northern Michigan and finally ‘Riesling Time Machine’ with vertical tastings of Rieslings from Smith Madrone in Napa/CA and Cave Spring in Niagara/Canada. This weekend promises to be something else and unforgettable. The only problem facing it – also facing the wine industry of Northern Michigan on a day-to-day level – is that almost nobody in American knows where Traverse City is, much less has an idea of the quality of Riesling (Pinot Blanc, Pinot Gris, sometimes also Cabernet Franc, Lemberger and more rarely Pinot Noir) produced on the Leelanau Peninsula (LEEP) and Old Mission Peninsula (OMP)I’ve been following developments there since 2000 from a distance and first visited in October 2005. Since then not only has the area planted with Riesling increased by fully 180% – the fastest growth rate anywhere in the US of Riesling! 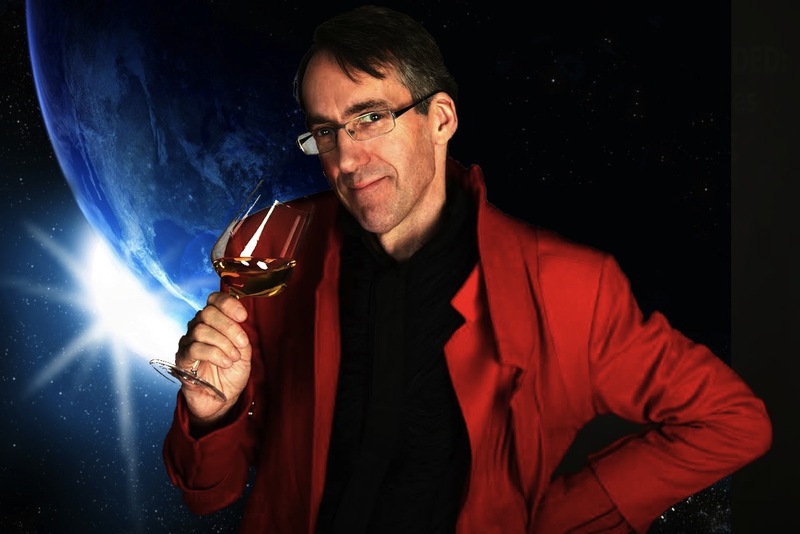 – but the quality of the wines has leapt into a much higher orbit. There is now a very solid group of producers who don’t need to fear comparisons between their wines and those produced anywhere else on Planet Riesling. They are now approaching Earth orbit escape velocity and are about to set course for the Outer Planets and beyond, just like Voyager 1 and 2 did back in the 1970s. Sean O’Keefe of Chateau Grand Traverse – “we don’t have a chateau and it’s not very grand, but we love Riesling” – was the Mission Developer for the ‘City of Riesling’ event amongst the region’s winemakers, but without the software and hardware of Mission Controller Amanda Danielson of Trattoria Stella and The Franklin it might never have achieved lift-off. Of course, there are also the astronaut winemakers and many ground staff, not least Michael Albaugh of Nu Art Signs who designed the logo which tells you where Traverse City is. My movie would never have got this far if it wasn’t for Klaus Lüttmer, my producer, editor, cutter and extra cameraman in Berlin. Thanks to everyone who believed in this Mission and God’s Speed to us all this coming weekend! Of course it’s grand! ( I am not that self deprecating to not recognize that). No chateau yet though, just give us a century or two to quarry the rocks! Sure, even ignoring the question of its architectural merit, Chateau Grand Traverse is “grand”, because it’s the largest Riesling producer east of the Rockies. I thought that would be one of the big Finger Lakes wineries, but no. Personally, I’m not a fan of fancy winery architecture always tasting according to the motto, “what do I want to drink, a great wine or a beautiful chateau?” In this case I found the beautiful scenery way more distracting than the winery architecture.